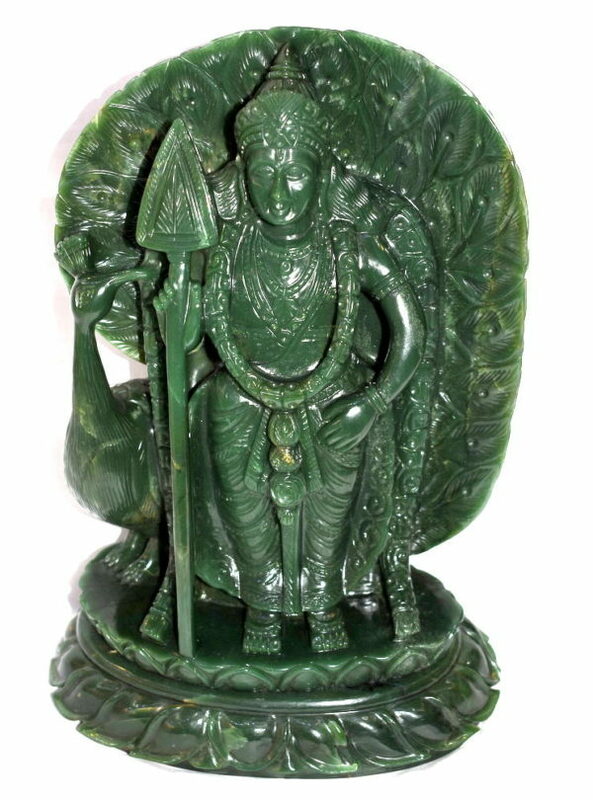 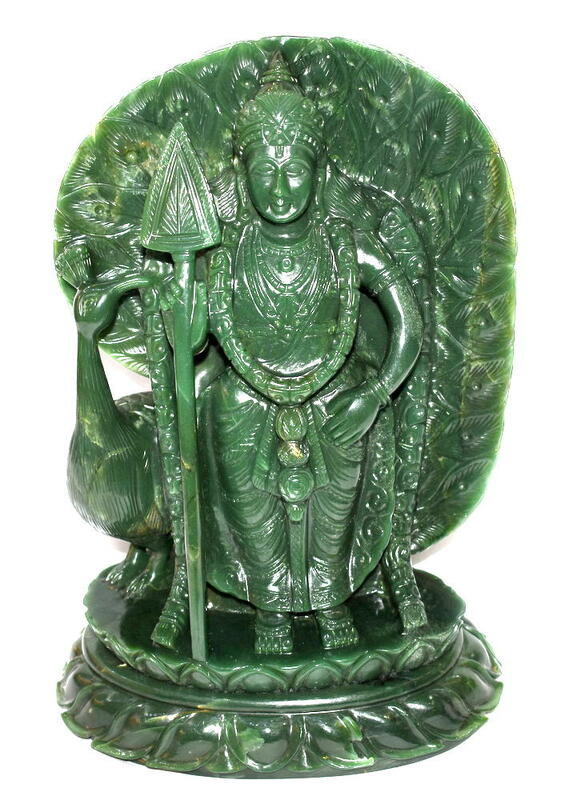 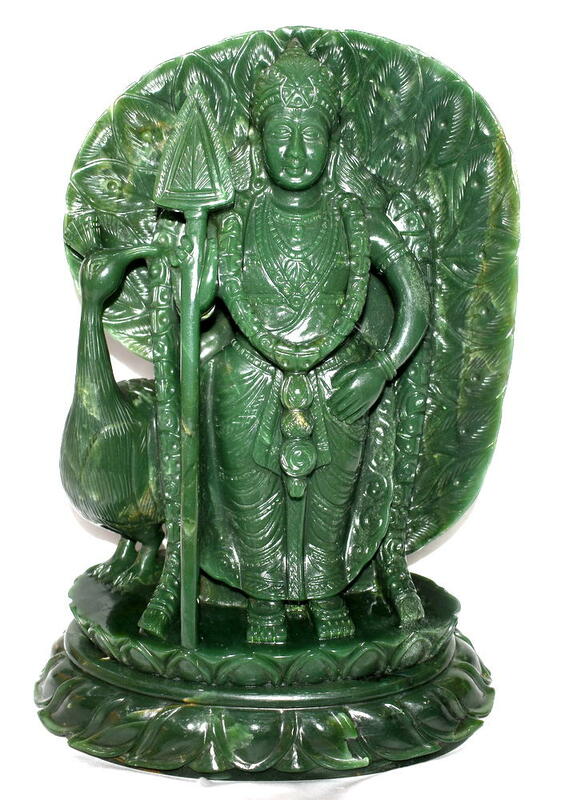 Design : In This idol Lord Murugan Carved Beautifully In Natural Colombian Green Jade , Lord Katrikeya standing on a Pedestal , his weapon ‘The Vel’ hold by his right hand and his vahan ‘The Peacock’ is sitting by his side.Each feature of the lord is created very accurately with fine detailing given to his clothes and accessories . 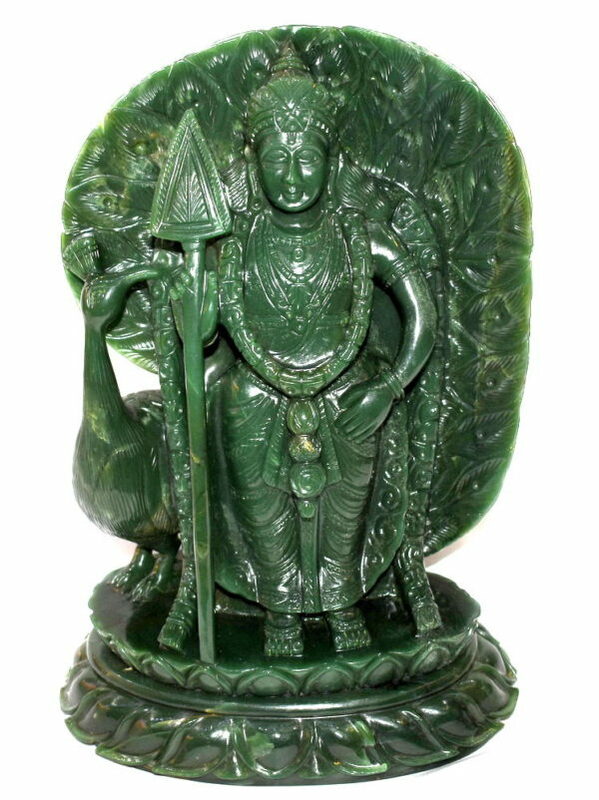 Lord Kartikeya , the son of Lord Shiva is considered to the Lord of War , Victory , Wisdom and Love . 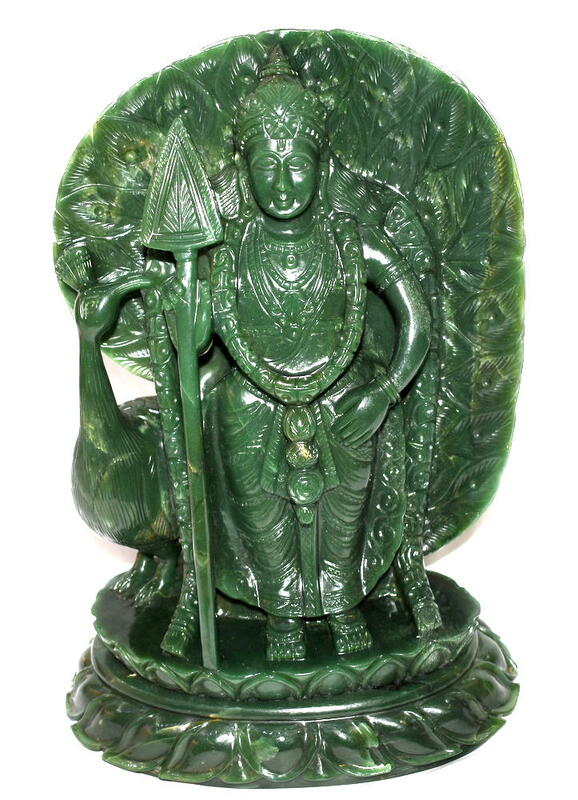 This idol can be kept in home / office to bring harmony , unity , security and intelligence . 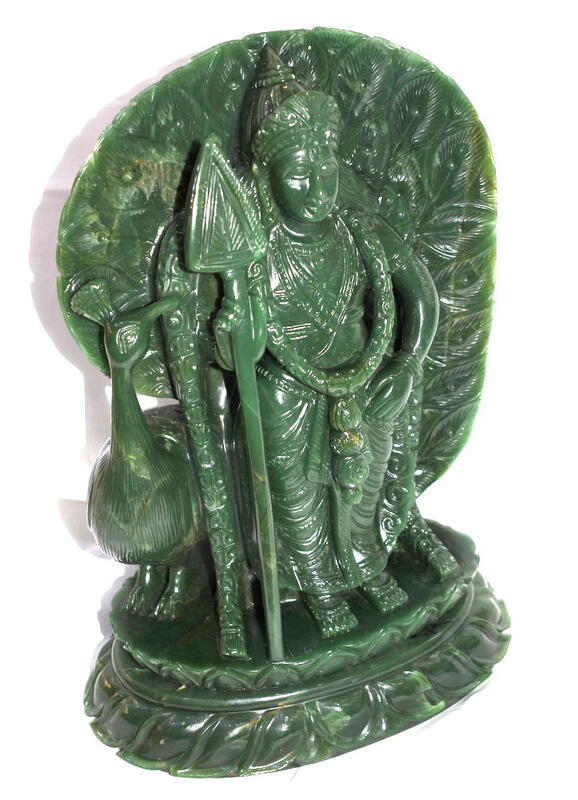 Green Jade is a Fortune Gem that has historically been used to Attract money and Love. 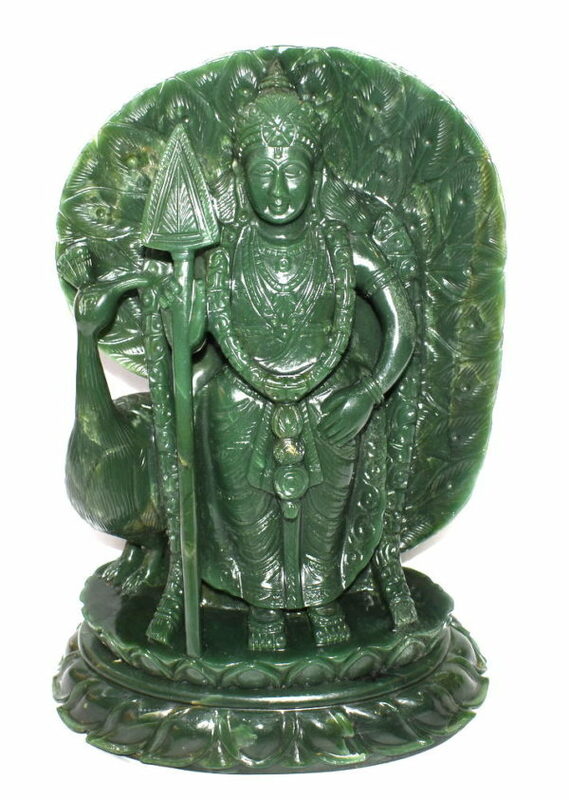 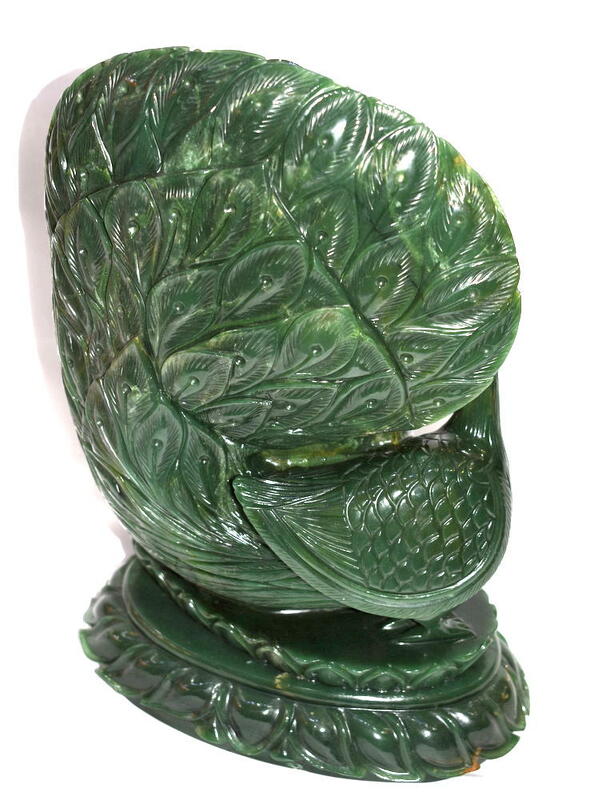 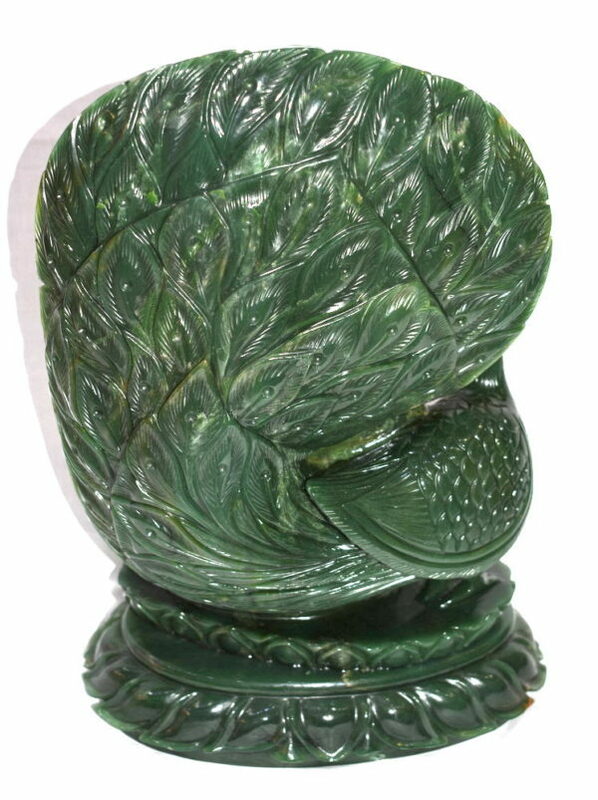 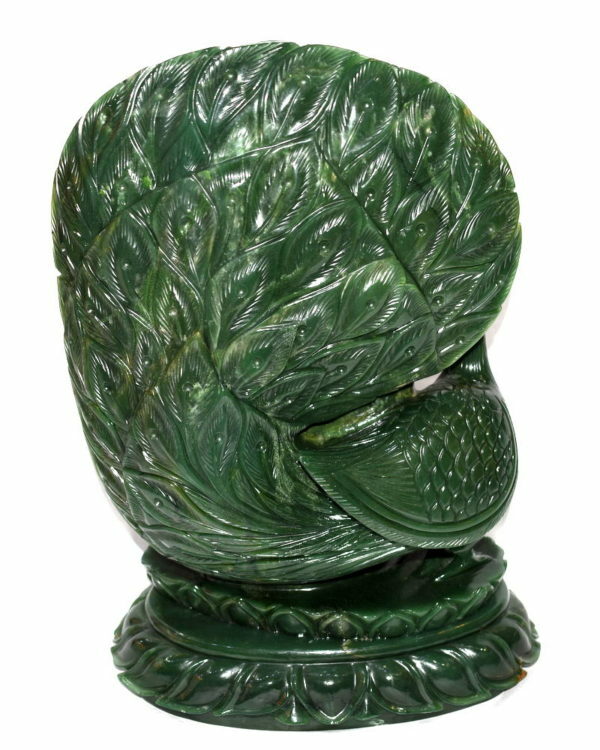 Jade is also a Protective Stone , guarding against any kinds of misfortune .